SEO is an ever-changing, expansive science that is often hard to understand. You know that you need specific keywords to boost your website traffic, but we’re about to throw another curveball at you – latent semantic indexing (LSI). It sounds like a complicated term, but if you understand how basic SEO works you’re already halfway there. Below I’ll explain not only what this means but also how you can use it to help boost your SEO strategy and grow your business. What is Latent Semantic Indexing? How does it help SEO? Latent semantic indexing is a concept that search engines like Google use to discover how a term and content work together to mean the same thing. In other words, in order to understand how LSI works, you need to understand that search engines are smart enough to identify your content’s context and synonyms related to your keywords. However, without LSI keywords it takes the search engines a lot of effort to look for these synonyms and the relation of your keywords to the content on your site. With that said, search engines like Google rank those websites using LSI keywords higher than those that do not. By using LSI keywords, you’re better able to create content that flows in a more conversational way. Using a specific keyword will generate results that are similar to the topic you’re discussing. This way you’re not overstuffing your content with the same keyword, making it almost unreadable by your audience. It also helps that you’re including LSI to provide the right information to the correct audience. When you use LSI keywords, your audience is able to find the answer to their search quicker and easier, thus generating more traffic to your business’s website. How you can find LSI keywords? Still confused? It’s because LSI keywords make more sense when you can see examples and know how to find them. This is a great way to find your LSI keywords because you’re seeing exactly what Google links with the specific word. You can use these phrases or keywords as a jump off point for your LSI keywords. If you can incorporate into your writings the keywords/phrases associated with what Google is already doing, you’re on the right track. We went and ahead and used the same term “dog” to keep things simple for you. Here are the results that popped up when we searched. These are the relevant LSI keywords that Google associates with the specific term. You’ll also be able to see how many searches are done during an average month, and how competitive the word or phrase is. How do you know which of these keywords are the best? You now have a list of LSI keywords. But you can’t (and shouldn’t) use all of them. How do you know which are the most ideal for your website? The key is to understand why someone would be searching for this term. Once you have this information, you can decide which keywords apply to your situation. The team at HigherVisibility came up with a great LSI infographic for beginners that shows how this works and how to be successful with the strategy. LSI is a way to prevent the stuffing of keywords into a piece of content. The best way to incorporate these words into your website and content is to write them in naturally. Finding a combination of both popular keyword searches and relevance to your content is the ideal way to decide which of the keywords work for your website. If you’re trying to rank your website high in search results, you’re willing to play the Google game. 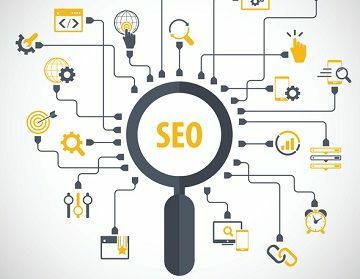 Including effective backlinks and adding keywords to your website’s content will rank you high and generate more traffic to your business’s website, but adding in latent semantic indexing and you may be thrown for a loop. Ultimately, it isn’t a difficult concept to understand. Just know that Google looks for synonyms to keywords to find the most appropriate content for a search query (and we’re glad they do!). Once you’ve understood how and where to find your ideal LSI keywords, you’re well on your way to boosting your SEO strategy. Do you have experience with LSI keywords? Let us know your thoughts and about your experiences in the comment section below.